So with a few edits, this is this year’s Football Foodie Super Bowl snack speech. 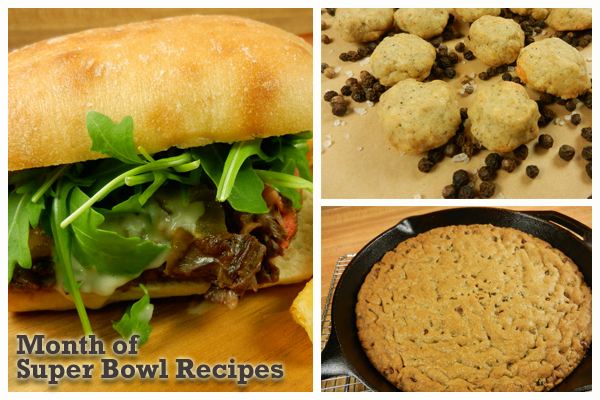 Super Bowl Recipe Month Kickoff At KSK: Skirt Steak Sandwiches With Caramelized Onions And Gorgonzola Sauce, Salt & Pepper Biscuit Bites and Giant Cherry Chocolate Chip Skillet Cookie. Full post and recipes over there!